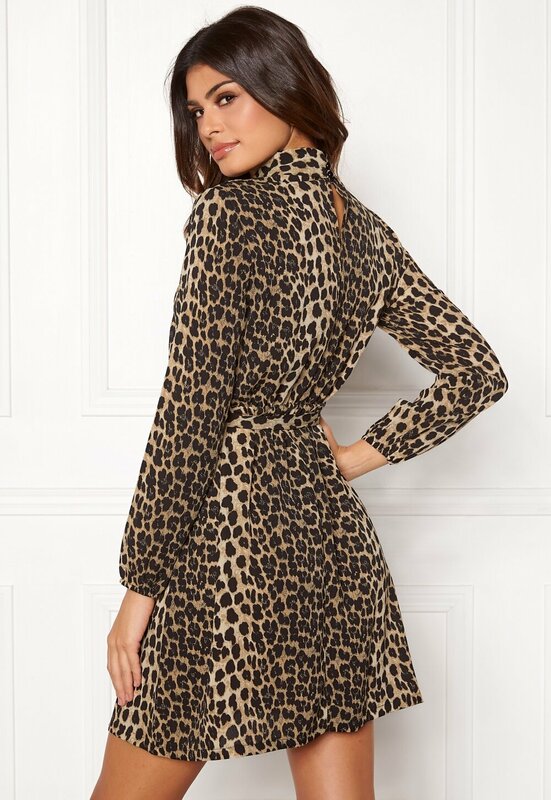 Gorgeous dress with leopard print from SISTERS POINT. The dress has an emphasized waist and is perfect for both everyday and party wear. - Unelasticated, woven quality - Higher neckline - Slit with buttons at the back - Elastic and tie at the waist (removable) - Elasticated sleeve cuffs - Unlined Back length from shoulder 93 cm, bust 98 cm, sleeve length from shoulder seam 62 cm, in size S. The model is 178 cm tall and wears a size S. Machine wash at 30 degrees.